Social Media Virgin: Is Google+ Worth the Effort? After a few weeks of taking my first few dips into the Twitter stream and optimizing my LinkedIn, this social media virgin is ready to tackle Google+. Our Inbound Marketing Specialist, Reade Milner, signed me up and the process is not difficult. But as I sit down to write this blog, I need to acknowledge that for some reason the why, the process, and the ROI of Google+ are just not sinking in for me, other than the fact that it’s probably foolish to ignore the 800 pound Gorilla’s new plaything. For all that is written about Google+, there’s something about it that seems more elusive to me than the other major social media channels. So I decide to seek insights about Google+ from one of the most experienced social media gurus I have encountered. Todd Schnick is an author, speaker, and business consultant. Todd has a radio show called Intrepid Radio and has interviewed marketing heavyweights such as Seth Godin, Guy Kawasaki, Jay Baer, and Chris Brogan, as well as inspirational speakers like Olympic hockey icon Mike Eruzione. He blogs several times a week and in era of highly sanitized content, Todd Schnick doesn’t bulls$”t. After our hour-long chat I not only finally “get it,” I’m surprised to find myself excited to explore Google+. Here are the highlights of that conversation. Todd was part of a select group invited to Google+ during a six month rollout before it became publicly available. One of the early reasons he stuck with it is the fact that it integrated so easily into his online daily activities. I use Gmail for my email. I use Google docs to communicate with clients and partners. My calendar, my whole online business world was already based on Google. Over the last few years these tools have become more and more integrated with Google+ so that sharing content is a quick and easy process. What is your definition of Google+? TS: Google+ is another social network where you can connect and interact with people. It’s another place to help people and share content with a long-term goal of drawing them back to your site. Why should I pay attention to Google+ and participate in it? If there is a knock against Google+, it’s that relative to Twitter, Facebook, and LinkedIn, there are not that many people using it. You will hear people saying, my usual crowd is not on it. My thinking is that’s what makes it so damn good. It’s less crowded so you have a higher chance of connecting with people who may otherwise see you as part of their giant Twitter pack, such as A-listers who get bombarded on Twitter and LinkedIn. TS: Because my friends aren’t all there, I am meeting new people. When someone joins a new social network or app, it’s often the same group of people you see on other channels. Google+ gives me a different fishing pond. It’s full of new people, different people than I usually hang out with on social media. I love that. It’s a whole new network and another channel to get content out. Google+ attracts a lot of early tech adopters, social media gurus, activists, authors, and influencers. TS: Because of the opportunities provided by Google+ hangouts. The crown jewel is Google+ hangouts. It’s like a platinum and far cooler version of Skype. And it’s getting better and better because they are integrating it into other tools like YouTube. If you use Gmail it’s easy to engage with someone in Google hangouts where you can host a live video conversation with up to 10 people. Then you can broadcast it almost seamlessly. Google hangouts provide a fun way to easily create content that can be quickly pushed out to social media channels. There is debate about the algorithm Google uses to determine page rank. But an obvious benefit is that posting content on Google+ has a positive impact on your search results. What Google is trying to do is reward good original content that is unique. And to reward authors who distribute good content that others engage with and share. Is Google+ here for the long-haul? TS: Is it a problem that it is not as active yet as other social media channels? Maybe. 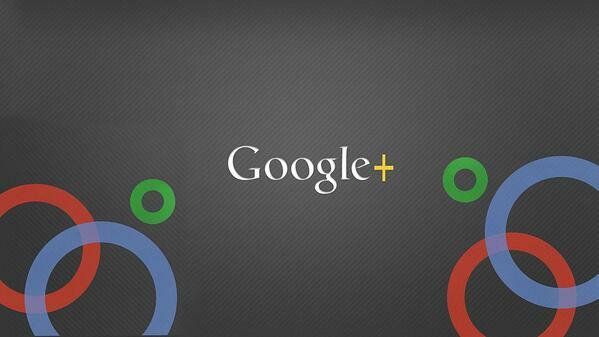 But Google+ is not likely going anywhere especially as it gets more and more integrated into other Google tools. How does it stack up against other tools? TS: Social media is about engagement. Google+ interaction is far more pleasurable. It’s easier to engage, more fun, leads to deeper conversations. Dialogue on Google+ is more satisfying. What is the ROI for you of Google+? TS: No one says, “I love this blog post I want to hire you.” But people are interacting with my content and some of them eventually go to my website and sign up for a course or purchase a book. Some eventually reach out for help and turn into a client. Google+ has been the channel that has allowed me to connect with well-known influencers like Guy Kawasaki, Chris Brogan, and Jay Baer and eventually get them as guests on my podcast. With the SEO benefits, the access to influencers and a wider group of people not on my other social media channels, and the opportunities on hangouts, I would be a fool to ignore Google+. Many thanks to Todd Schnick for sharing his insights. Check back here for more thoughts and tips from Todd in the Social Media Virgin series wrap-up in a few weeks. Fun Fact: Google+ went live in 2011. By comparison, LinkedIn first started linking business professionals 10 years ago and the first tweet on Twitter was sent out 7 years ago. To learn more about how social media can work for you and your business, make sure to sign up for our blog.